Here at Dogtown Pizza, we’re all about using fresh, locally-grown ingredients, especially when it comes to herbs. We chop our basil fresh daily by hand—and you can too! Here are our best beginner’s tips for starting your own kitchen herb garden so you can harness the power of fresh herbs in your own cooking. Basil, parsley, chives, cilantro, dill, mints (peppermint and spearmint), oregano, rosemary, thyme, and sage are all a good place to start. These can be started from seeds, or you can get a head start by planting a cutting or a grown plant. Before you start, take some time to think about which herbs you use most often in home cooking, or which herbs you’d like to add to take-out or store-bought meals to upgrade your flavor game. Kitchens are ideal for starting an herb garden because most kitchens have at least one large window that gets a lot of sunlight. 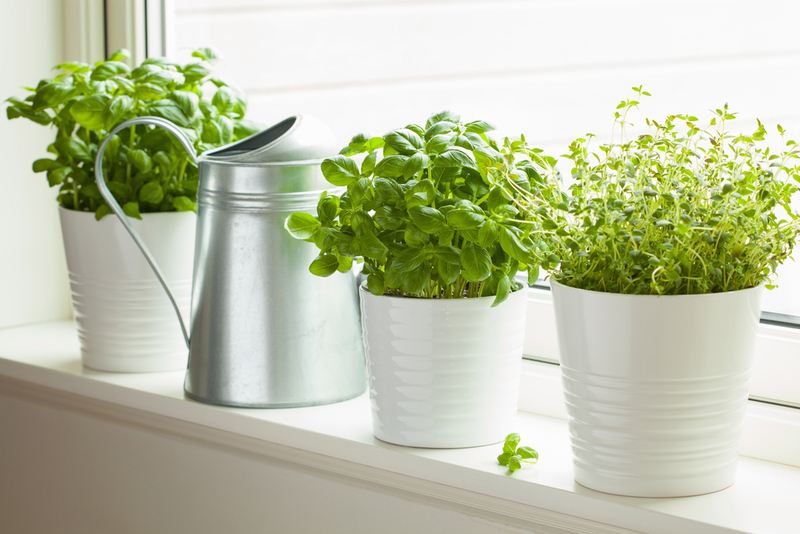 Most herbs grow best with a lot of warmth and sunlight, and should be placed in a south-facing window. Many can also grown in an east- or west-facing window, although they’ll grow more slowly if they don’t get full sun. Remember that pots can be moved around with the seasons, to give the plants as much light as they need to thrive. Herbs need good drainage, so use a fast-draining soil mix that has perlite or vermiculite to loosen the final mix (this kind of soil is often marketed for cacti and succulents). Pots with drains and saucers work best because they keep the soil from getting waterlogged. Any pot or container that’s at least 6 inches tall can be used to grow herbs. If you want a kitchen herb garden on your windowsill, you can use smaller pots, but the herbs won’t be able to grow as big or provide as much output for harvest. Windowsill gardens are cute, but they’re best used as a temporary home for new herbs before they get big enough to be moved into a bigger container. Make sure not to over-water. If you have trouble keeping track of when you last watered your herbs, set up a reminder on your phone or keep a calendar near your herb garden. Plants are more likely to die from over-watering than from not getting enough water. You can also check your plants by pressing your finger into the soil: soil should be moist, but not wet. If the soil is dry, it’s time to water, but probably not as much as you think—a quick splash to soak the roots and then drain out is enough. Wait until the plant is mature before the first harvest. Once your herbs are ready for harvest, you can take about one third at a time, and be sure to let that third grow back before harvesting again, because over-harvesting can damage the plant. And voila! Once you have a harvested crop, you can throw them straight into dishes or store them for future use. We recommend using plastic deli containers with an inch of water in the bottom to store your freshly harvested herbs in the fridge. You can also dry them out using a drying rack and keep them for up to a year on the shelf. It sounds like a lot of work, but keeping your own kitchen herb garden is so worth it. After all, there’s nothing quite like fresh, hand-chopped basil on a delicious pizza ???? Are you inspired to start a kitchen herb garden? Do you already have one? 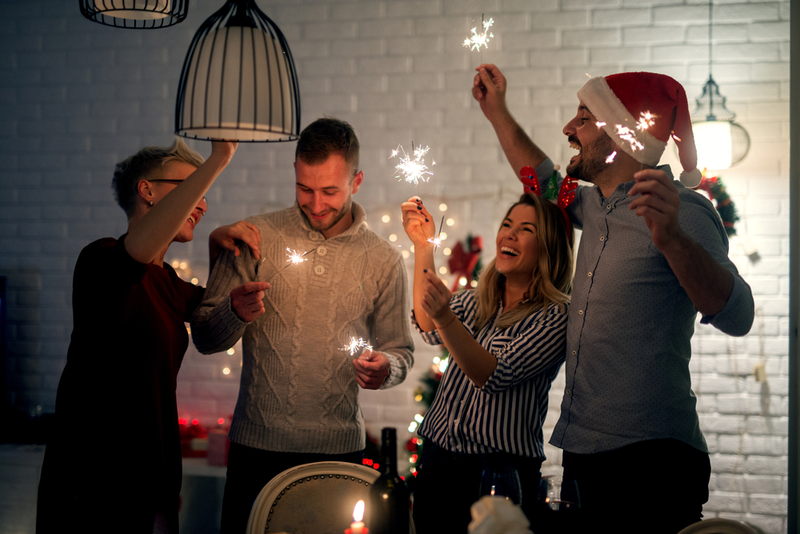 Share your stories and tips in the comments below! 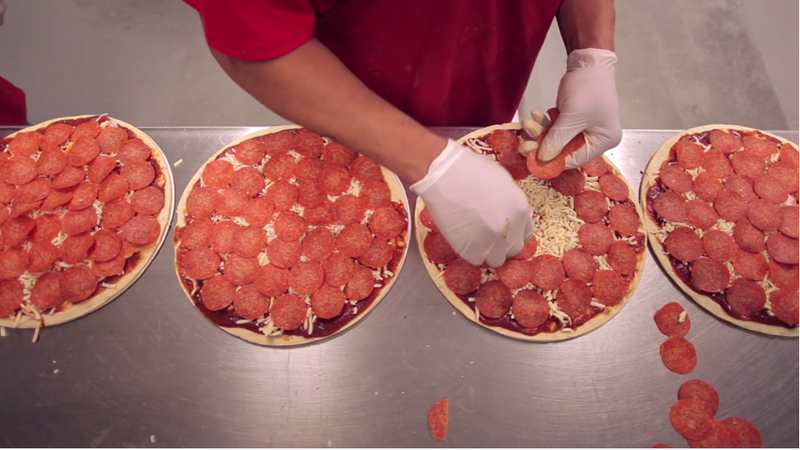 Learn our ways: here's how you can make frozen pizza even more delicious. next post: How Much Do You Really Know About The Mushroom?